I'm a caring, skilled professional, dedicated to simplifying what is often a very complicated and confusing area of health care. Dr. Jaspreet Sran is one of the best Orthopedists in Sector 34, Chandigarh. He has been a successful Orthopedist for the last 19 years. 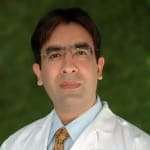 He is a qualified Ranawat Fellowship in Joint Replacement (USA), Fellow Joint Replacement (Austria), MCh Ortho (United Kingdom), MS Ortho (Univ. Topper), MBBS. You can meet Dr. Jaspreet Sran personally at Dr Jaspreet Sran in Sector 34, Chandigarh. He has been reviewed by 58 patients. You can book an instant appointment online with Dr. Jaspreet Sran on Lybrate.com. Lybrate.com has top trusted Orthopedists from across India. You will find Orthopedists with more than 27 years of experience on Lybrate.com. You can find Orthopedists online in Chandigarh and from across India. View the profile of medical specialists and their reviews from other patients to make an informed decision. Dr Jaspreet is very ethical and intelligent doctor, he monitors his patients progress very closely. I am relieved from back pain with his advice and precautions. I recommend him to everyone suffering from bone and joint problems. He was very polite and nice . I have back pain and neck pain ,I travel by bike everyday to office. Once I come back I feel severe back pain and neck pain. Request you to advice the precautions I need to take for this. Also I feel numbness in my legs when I Sit with my legs fold. What could be the reason and how to get rid of this. Thanks in Advance. Hot fomentation x twice daily. Neck Exercises. Neck Stretching. Postural Correction. Shoulder Shrugs . My father have pain in his knee joint, whenever he sit. Then there is pain when he going to stand. He can not stand without any problem. His knee joint paining continuously but when he stand after sitting then the pain is increase. Tell me the solution to reduce his pain. I understand your concern for your father. As per your complains it seems he is suffering from knee arthritis which is very common at this age. I would advise you to please go for proper investigation like xray, uric acid, calcium etc blood tests so that the reason can be diagnosed. In the mean time to get relief from pain and stiffness please follow the physio measures: precautions- 1. Avoid prolong standing. Standing on one leg or running for time being if its painful. 2. Take care while bending your knees, it should not directly strain your joint. 3. Avoid heavy weight lifting. 4. Wear shoes with good arch support, do not wear high -healed shoes. 5. Use the correct positions during activities so that you do not strain your muscles. 6. Try to change your sitting position every 15 min so that it should not give strain on your knees. 7. Avoid sitting on floor with both knees bending. 8. Take diet rich in calcium like milk, dairy products, banana etc which will enhance your calcium and gives you strength. At home you can ask him to start treatment along with some prescribed calcium tablets. 1. Make use of hot packs and ice packs alternately. Apply with the ratio of 3: 2 which means 3 min ice then 2 min heat. Ice has very good results in relieving pain than heat so combination of both gives you complete relax. As ice reduces pain and heat stimulates blood flow around the affected area. 2. After this using thumb ask him to massage the knee painful area gently. Relax for 5 minutes. 3. And then ask him to start doing knee (quads) isometrics atleast 10-15 times with the hold of 5 -10 seconds. Also you can do some knee strengthening when pain is decreased in the mean time like - hams sets, knee bending and straitening, heel raising, bridging, squatting, lunge etc. Lot of exercises are there. The above treatment will give him pain relief and discomfort. If possible please contact any physio who will study his daily routine, symptoms, degree of pain etc and accordingly will give him the best treatment plan. Along with it give our pain relieving modalities like ift, us vacuum therapy for 10-12 days with mobilisation exercises. Best regards. I am getting little pain in my knees .so what type of tablets I should used. And my age is 25. So please guide me. Hot fermentation. Put a towel roll under knee and press for 10 sec then release repeat 20 time. Avoid strain. If it work then OK otherwise consult with physiotherapist. I am having severe neck pain from many days. Now it's become impossible to even sit, if I bend my head backward, feel some relief. Bending front causing more pain. What to do please suggest. Get and x ray of cervical spine. Keep your posture straight while sitting and working on computer have back support while sitting in chair. Do not use pillow while sleeping do not move your neck much you can use cervical collar do for 5 days and contact for medicine if required good luck. I am facing backpain since 3 months. I use only painkiller. Bcoz doctor give me some tablets of painkiller and other. please advice me. Sit straight maintain your posture avoid long sitting toward bending and lifting heavyweight. Do hot fermentation and rest and stretching exercise of spine and legs. I am 17 year old male. I had an tibia fracture one month ago. I went through a Surgical Treatment. After that I consulted another doctor who recommended that second screw from top must be removed for faster healing. What should I do? Please send me detailed report meanwhile don't go for removal of screw or anything it is not like that please take tab hadjod by himalaya 2 2 have x ray after 15 days to see improvement in healing please avoid rice, fast food, fish outside food take milk twice a day dates 4 to 5 daily beet root one daily have green leafy vegetables daily take some jaggery daily. I have unneccesry belly fat and that occur pain in my spinal cord. What should I do. If your pain is there for many years then it is chronic pain. Ice can be kept in the low back where you have back pain. It is suggestible to wear Lumbo sacral belt which would help you to build the abdominal muscle tone which itself would make you feel better. You can also wear MCR chappals which would help you to have less weight falling in the painful back. My wife having pain in right lower back. When she wake up it will increase. Afternoon time no pain and after noon the pain will increase. We think it is kidney stone and drink plenty of water but no change. Please advise. Chiropractic Mobilization will help. Do the cat/cow stretch. Get on all fours, with your arms straight and your hands directly under your shoulders; your knees hip-width apart. My husband is diabetic and is having sustain pain in both his foot which gets unbearable at times. Dear , please inform me about status of diabetes, means fbs, ppbs, hba1c, lipid profile, s creatinine, urine micral, and urine routine reports. Also tell me height, weight, duration of disease, any other diseases, family member having diabetes or any complication etc. Now pain may be due to neuropathy due to diabetes or impaired blood circulation or any postural pain or may be due to injury. So please give me details so I can help you in better way. Thanks. I am suffering from pain in my back side on both sides. It feels like burning inside around the kidney areas. I feel tired, non energetic, fatigue every time. Pain in my arms, legs remains every time. I am not able to walk far and after walking 50-60 meter I feel very tired and not able to walk any more. Postural correction- sit tall, walk tall. Extension exercises x 15 times x twice daily - lying on tummy, take left arm up for 3 seconds, then bring it down, right arm up for 3 seconds, bring down. Bring right leg up, hold for 3 seconds, bring it down. Then right leg up and hold for 3 seconds and bring it down. Repeat twice a day- 10 times.